I’m still considering a full time ‘normal’ position though, second interview is tomorrow so – fingers are crossed that whatever is best works out. There are the typical pros and cons so am just focusing on the tasks at hand and taking it from there. The Holiday Season was rather lonely without the kids, in fact, spent Christmas Eve entirely alone. I resolve never to do that again. I spent quite a while talking with someone close to me, but later, as I was working, it was a very long, lonely night with only two client phone calls in 9 1/2 hours then back up bright and early to work another shift prior to going over to WRT’s Christmas Evening. Am I whining? Perhaps a little bit. The primary reason for mentioning it though is the realization that although some people are ‘fine’ being alone on significant dates, I am not one of them. I’ve worked many holidays over the years but have had coworkers surrounding me and family to go home to. So…. this coming holiday season will definitely be handled differently!!! My ‘non husband’ (don’t quite know how to refer to him now that it’s been discovered that our marriage was void due to his bigamy) used to say ‘it’s just another day.’ I completely disagree. As humans we NEED milestones and celebrations. Every culture has them, we have developed a system to mark time and progress, given ourselves opportunities for reflection, of giving of ourselves and our resources, we mark passages in our time on earth and find comfort in the familiar traditions while resolving to accomplish more in the next time frame. I believe that anyone who views these markings of time as ‘just another day’ is not truly understanding their own humanity and is denying themselves of that connection. And yes, I spent hour upon hour in the last month or so going over my blessings rather than the woes, giving thanks for all that there is, in fact – I got to the point where there were just no more pep talks to give myself so I read, I knit for others, I chatted online with dear friends, I surrounded myself as much as possible in the love that is out there and tried to extend it to others in every way that I could think of. Did it work? Mostly! This entry was posted in knit socks, Life and it's Stuff and tagged Fleegle heel, hand knit socks, self employed, toe up socks. Bookmark the permalink. Thank you, Rosie! I’d love to see how your “Beverly” turns out. 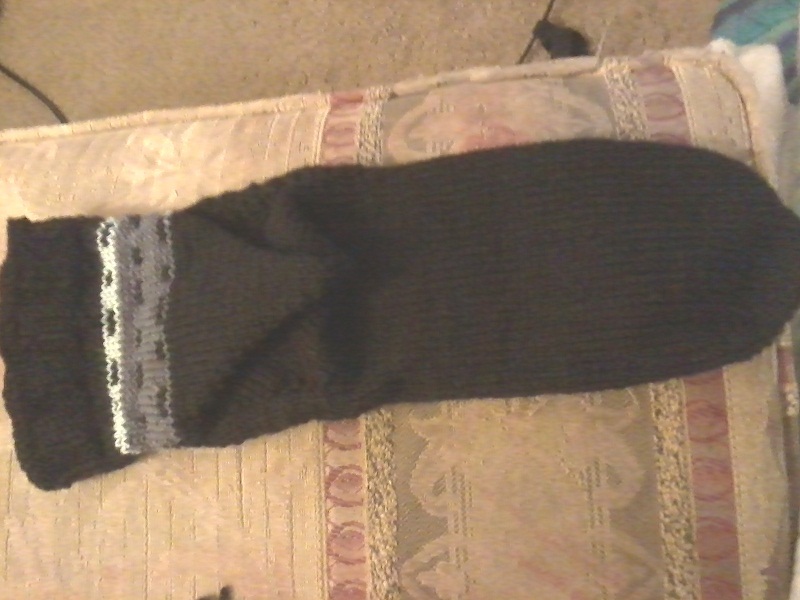 Mine’s been hibernating for quite a while as I didn’t pick up the sleeve stitches very well. Think it’s time to revisit it though. Hi,redfear! I found your link on Ravelry during a search of the “beverly” cardigan. I just started it and was looking for some skinny on it. Have you finished yours? I am just starting it – I love the pattern and I love a challenge – haven’t attempted anything top-down except for a little capelet last year. PLease keep up your writing! See you on the internet!